What is a chiller? 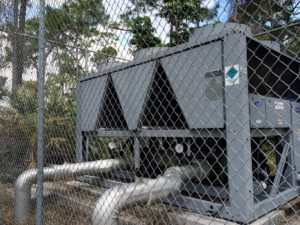 In a chilled water system for air conditioning, cold water chilled from refrigerant flows through the coil that cools the supply air. 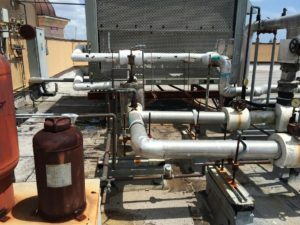 The chilled water gets pumped through a piping loop to air handlers in the areas to be cooled and it absorbs heat from the air that flows over the air handling coil. The warmed up water then returns through the piping loop back to the chiller, where the heat it absorbed is released to the refrigerant flowing through the chiller’s evaporator coil. Don’t worry if you don’t understand how Chillers work because we do. 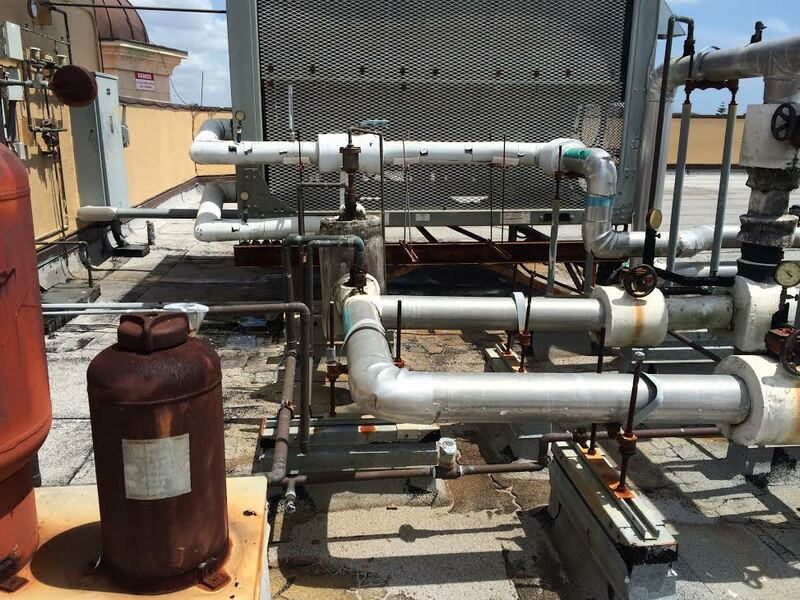 Service – If a Chiller unit fails or has an issue, a Smithco technician will work to correctly diagnose the issue, provide a quote to repair and get it working properly again quickly. Our goal is a same day repair. 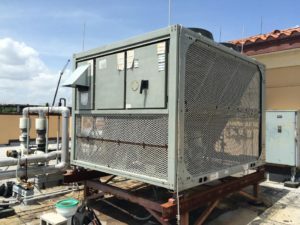 Maintenance – These units need to be maintained often. Don’t neglect it. Find out about our Preventative Maintenance programs which can be customized to fit your needs and budget. 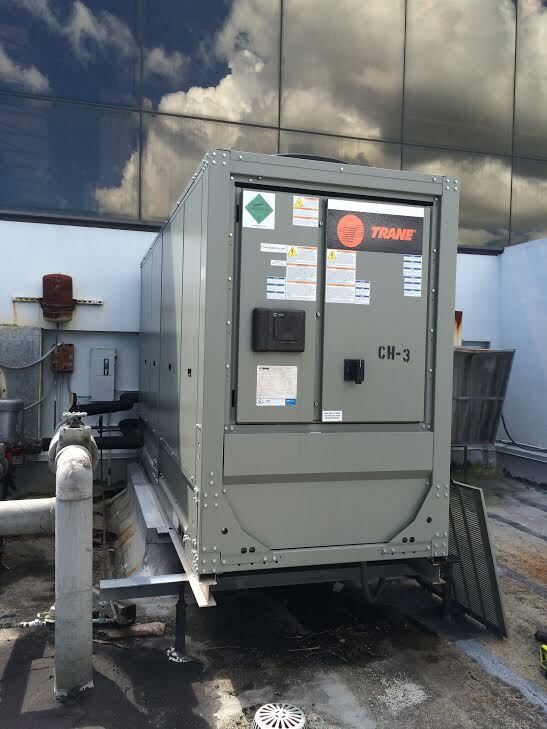 New Construction/Change outs – Our staff can help you through the entire process of replacing a Chilled water A/C system. 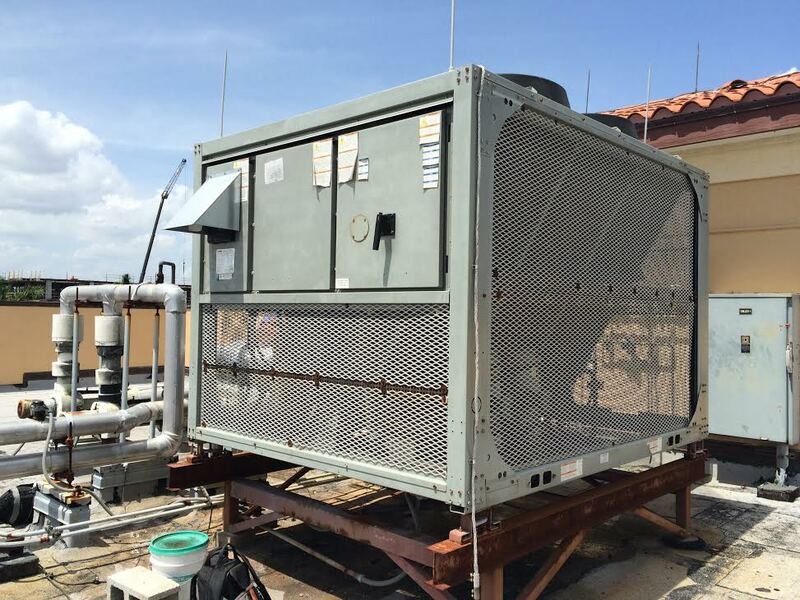 Not every HVAC company is equipped with the knowledge and experience to handle performing services on Chillers but the experts at Smithco Services can give you what you need. Call us today at 561-833-3793 or click here for a Free Consultation.